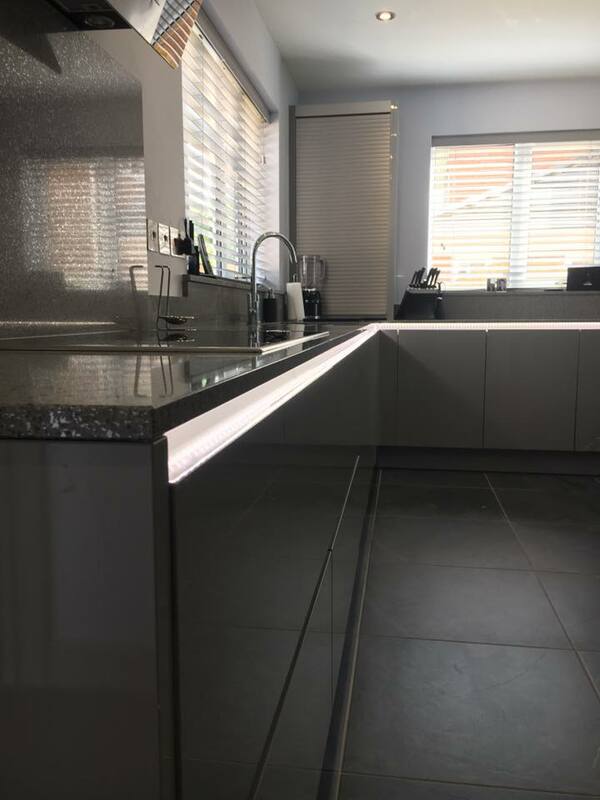 Stunning Silestone quartz worksurfaces with hi-tech Neff appliances – plus a wine cooler, Faber extractor hood and modern LED feature lighting. 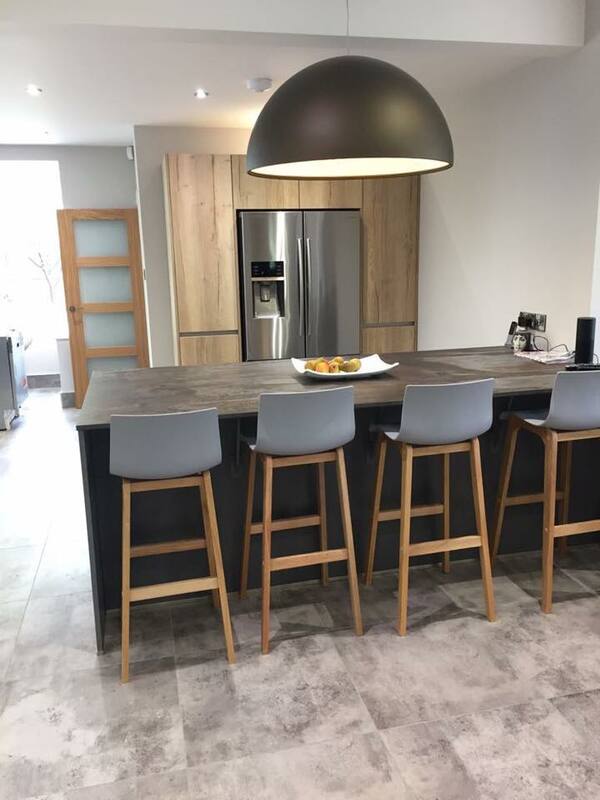 Stunning blue pearl granite worktops with oak breakfast bar, Belfast sink, Perrin & Rowe Tap and curved end units – and matching utility area. 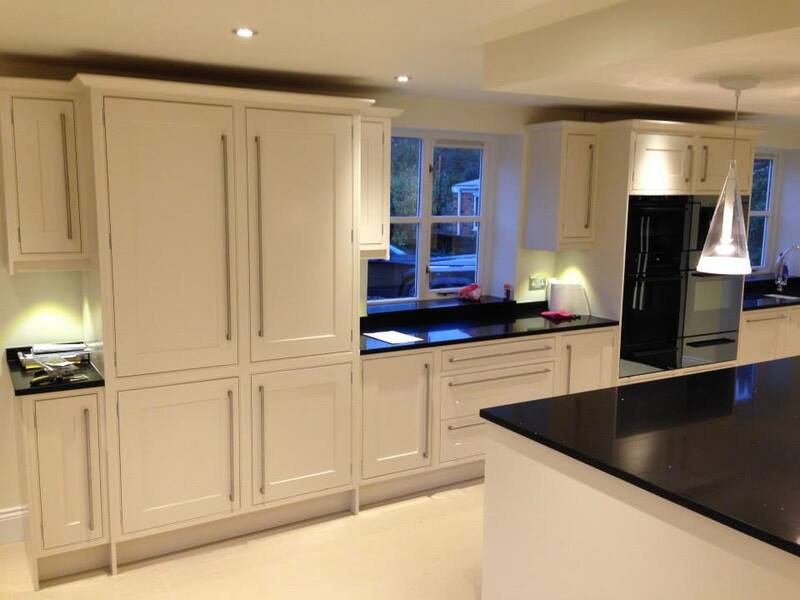 A gorgeous hand painted, framed shaker kitchen with Silestone ECO Starlight work surfaces and polished porcelain tiles. 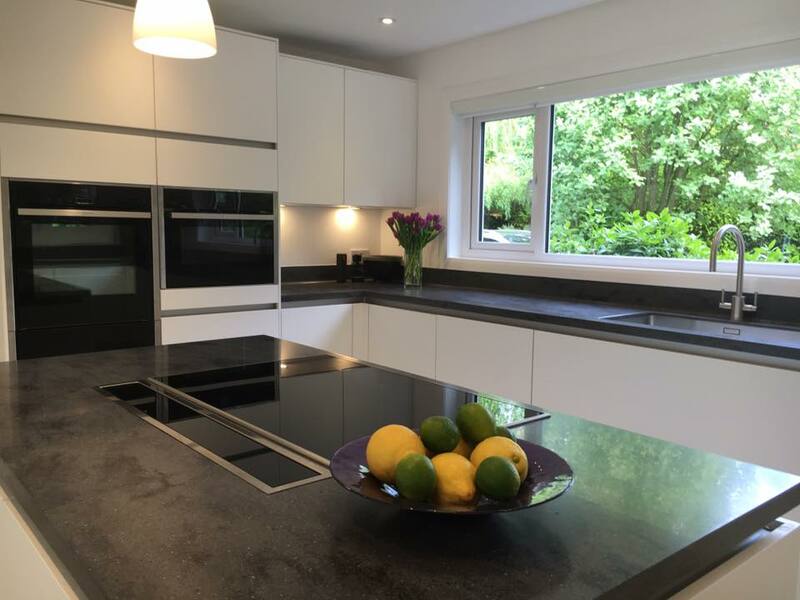 Fitted with V-Zug & Siemens appliances, Air Uno glass ceiling extractor and modern FLOS lighting. 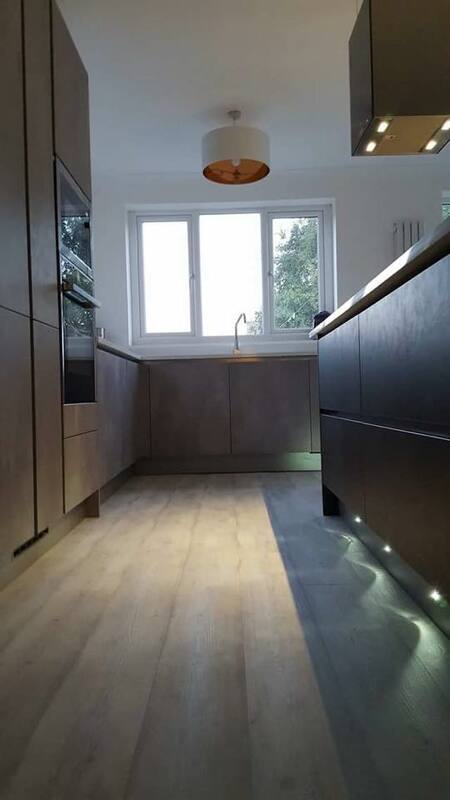 A matt painted slab kitchen, Corian work surfaces, with hi-tech Neff appliances, Air Uno downdraft extractor with Blanco sink Perrin & Rowe tap combination. 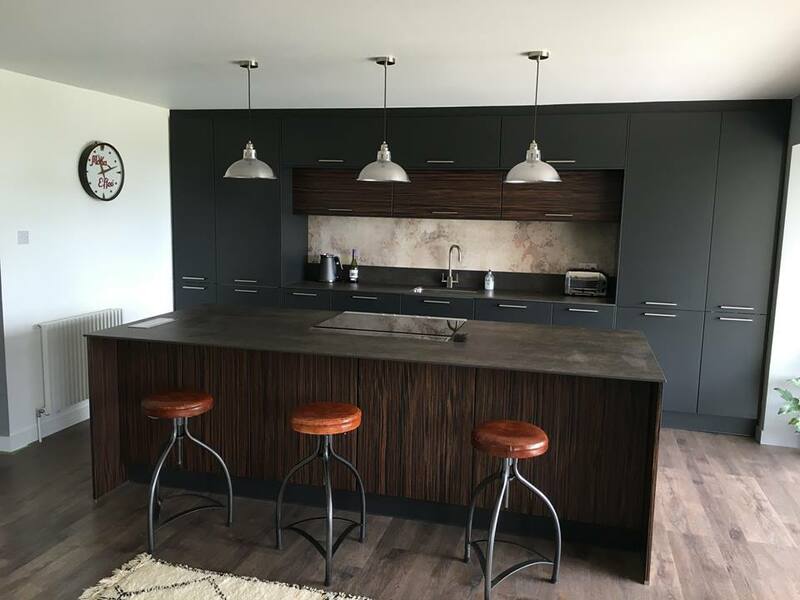 Beautifully finished in matt black, with bespoke Maccasser Veneer accents – with 12mm ceramic worktops in an industrial rust look. 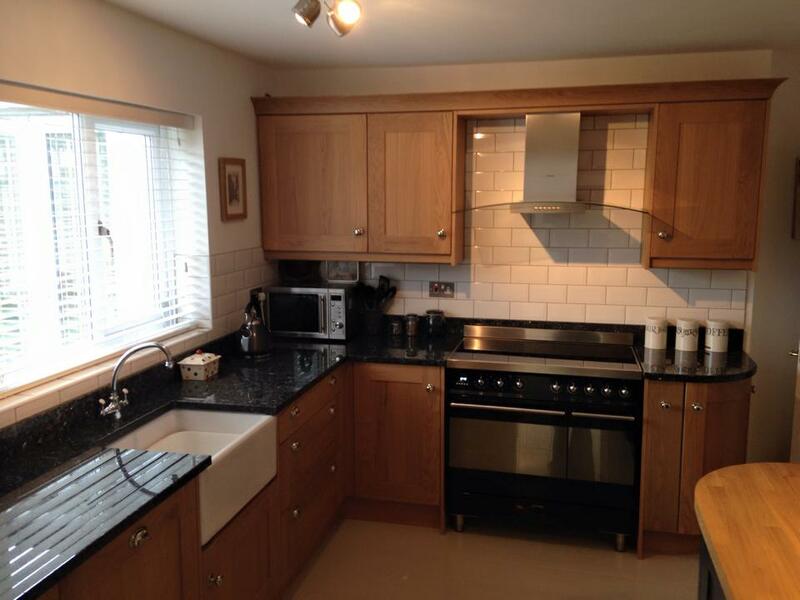 The client chose a mixture of hi-tech Neff & Siemens appliances. The latest Neff kitchen appliances, with a gorgeous Silestone quartz worktops and a stunning Blanco sink and tap combination. 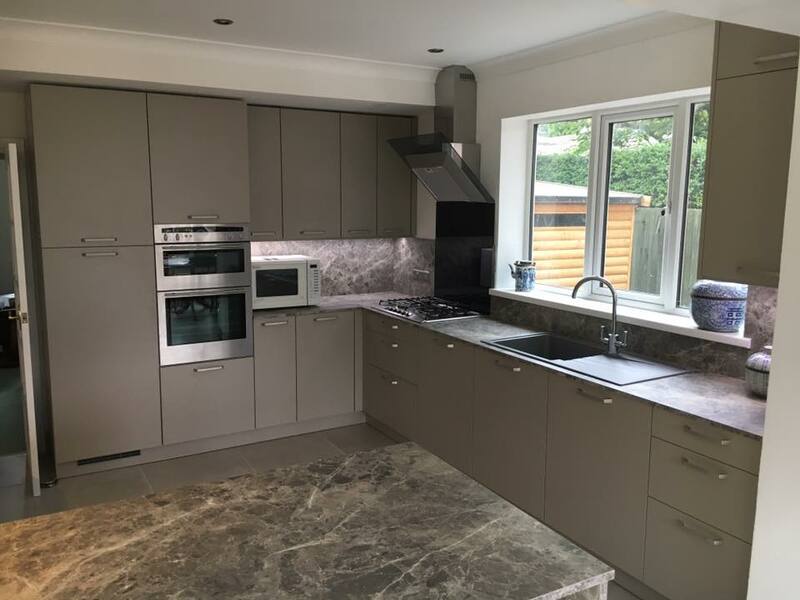 Natural stone laminate work surfaces with granite resin sink, fitted with integrated appliances, pull-out storage and Perrin & Rowe tap combination. Striking Kuhlmann dark concrete units paired with Holm oak cabinets, and mixed-concrete porcelain tiles – plus FLOS Skygarden light, Dekton trillium worktop and Ilve modern 1500 extractor.